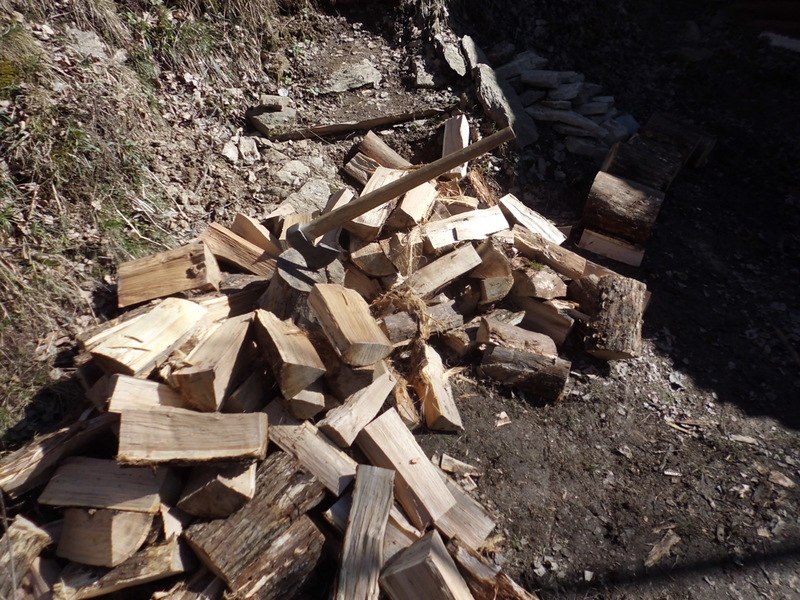 Spring is almost here, this means that all tools which had a nice winter sleep will be used again excessively! Some of them in good state, but I bet you have some old rusted tools laying around somewhere. That for sure, was the case for us. 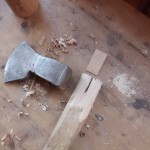 Recently I came across This article posted by Natural Homes about Tool Restoration. It inspired me to give it a try. That evening we threw all our rusted tools in a little tub, filled it up with White Vinegar until all tools were covered and enjoyed a lovely night full of dreams. The next morning it was time to put it to the test! 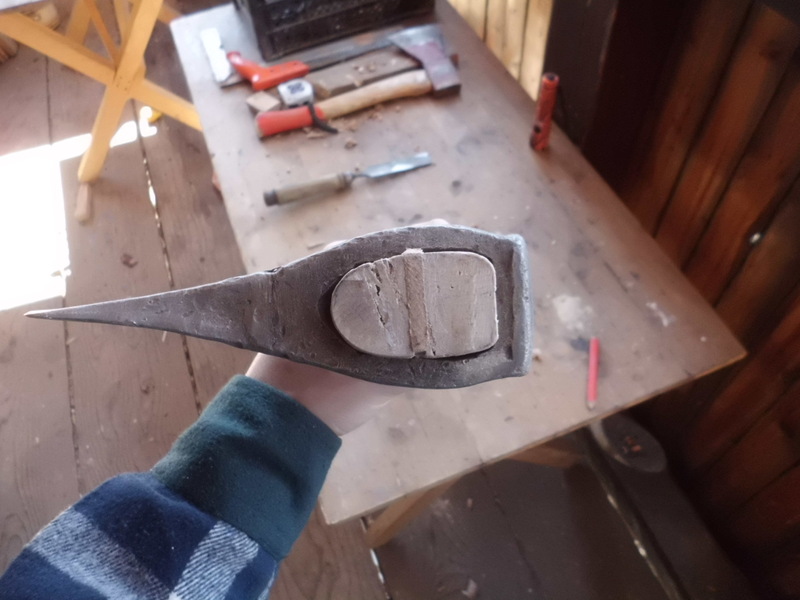 I took out the first tool and started brushing it with a piece of steel wool. WOW that goes extremely well! The rust came off like a potato peeler on a potato skin! 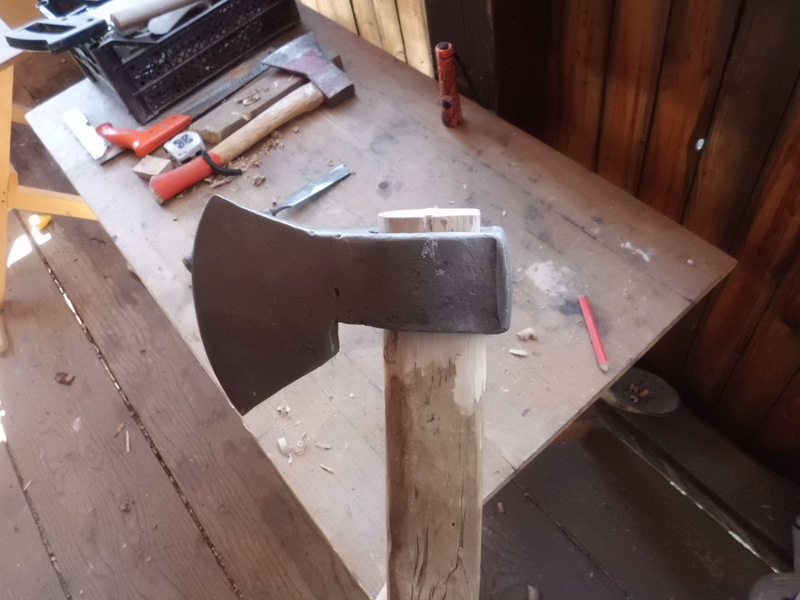 So most of the Axe heads didn’t have a handle. One of them though still had the handle but it was broken where the Head used to be. 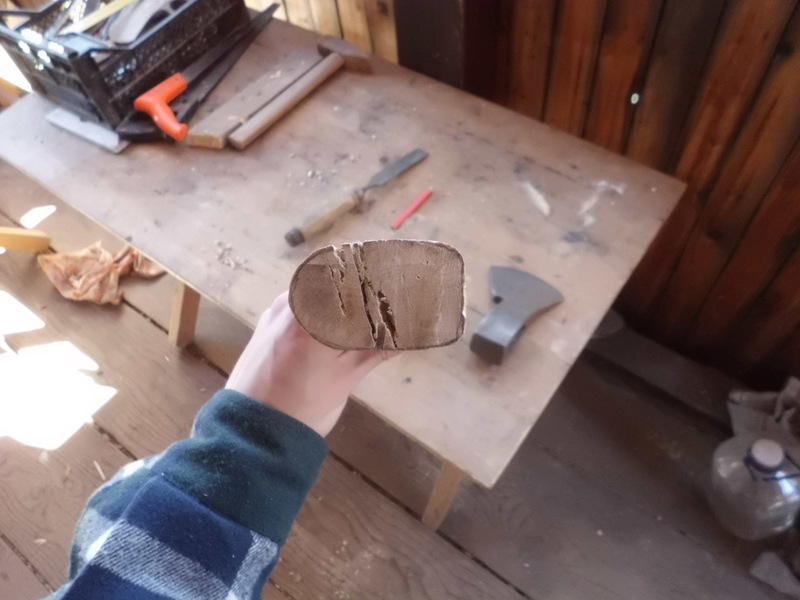 I cut of the chipped parts as much as possible and drew the shape of the eye on the end grain, then I drew a line where the bottom of the Axe Head was supposed to end while allowing the handle to extend through about 1cm. 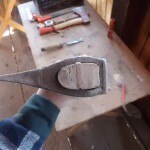 With a chisel I slowly took away excess wood until it fitted just right but very tight. 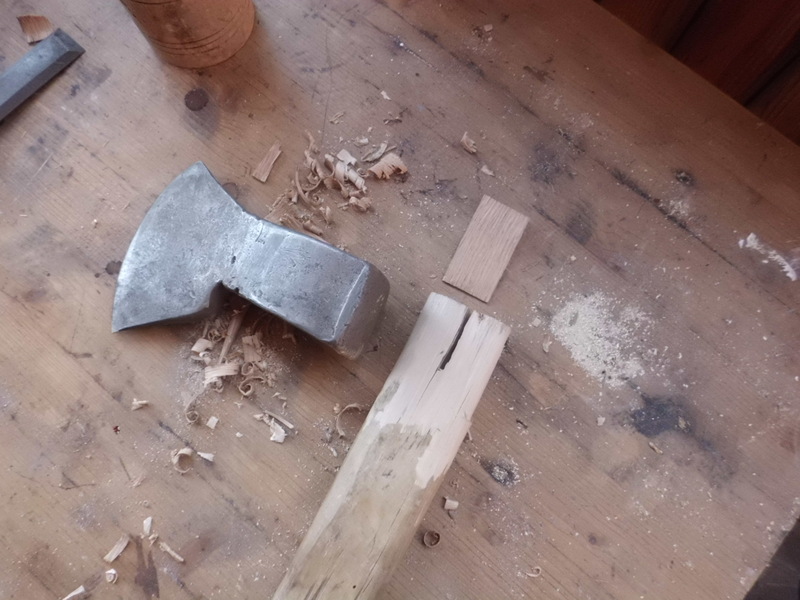 With a handsaw I made a cut in the end grain of the handle, until about 1.5cm above the Bottom of the Axe head. From a little piece of Oak I made a wig that was just a bit longer that the cut I made in the handle, but with the same width. 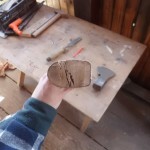 Placing the Axe head on a log and hitting the handle downwards With a wooden mallet I hit the Handle inside the Axe head, when it couldn’t go further I flipped the Axe and hit the handle on the log a couple of times for the Head to go down just that last little centimeter. Then I applied a little bit of wood glue to the wig and hit it in as much as possible, afterwards I cut of whatever was still extending. And there you have your brand new Axe, as if it was just bought! 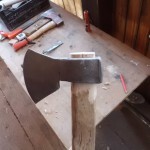 Because this was the first time re-handling an Axe, I wasn’t too sure it would actually stay on there. So I gave it a test run right away! 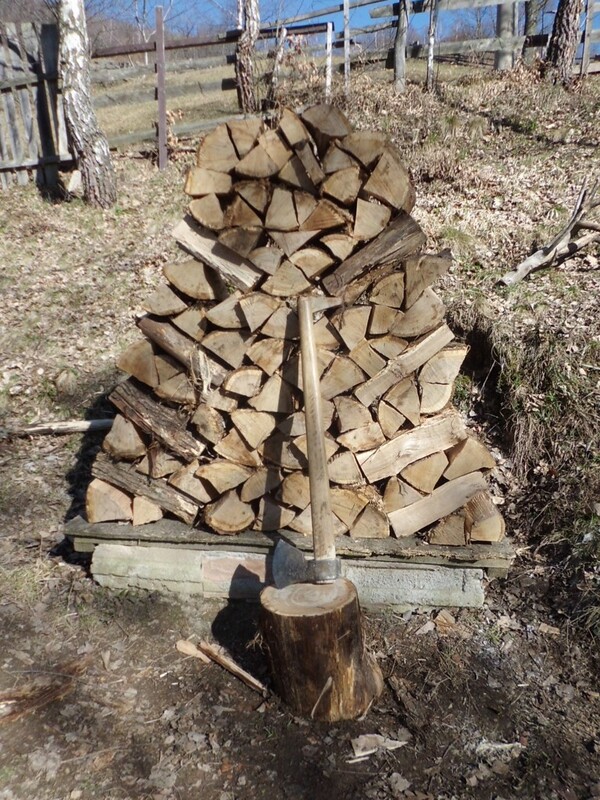 Amazingly, the head stayed on there for the duration of splitting the logs. And man! 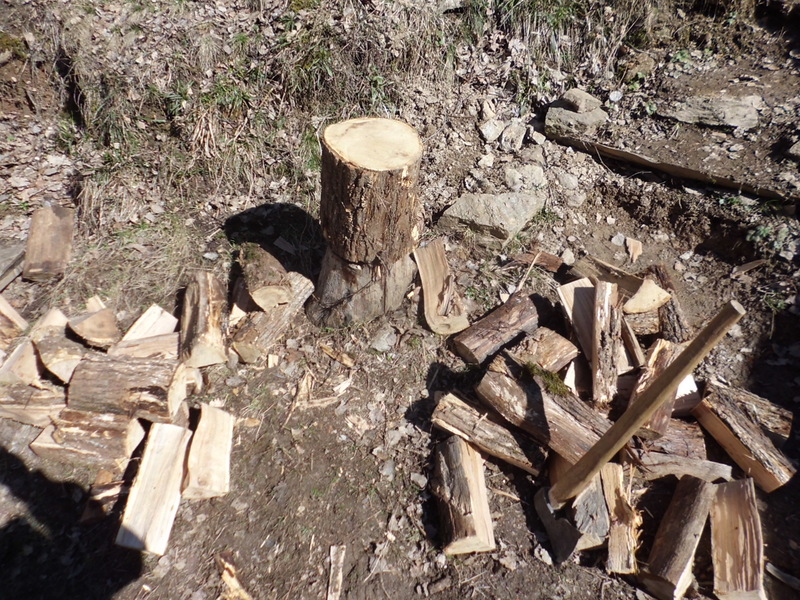 What a lovely Axe, it goes through the logs like a knife through butter, The handle holds great. Its maybe a bit short but alright. 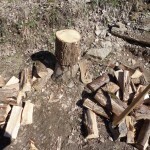 I can keep on splitting logs all day with this Axe! Thank you Awesome Axe! you make life so much more easy! 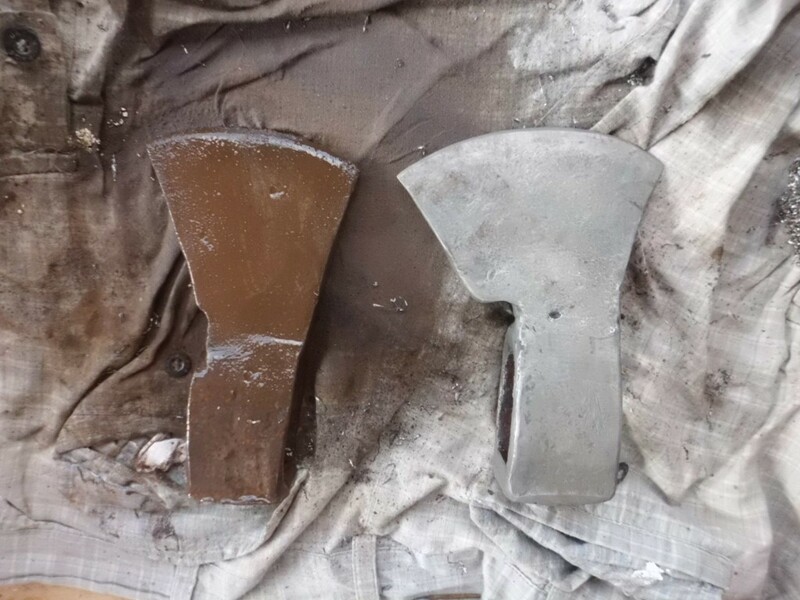 After removing the rust and using the Axe, I noticed that after a few days the rust would come back, not to much but a slight brown layer returned. 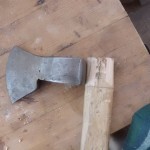 To protect the Axe head from getting rusty again you can make a mixture of Linseed an Beewax to apply to the Axe head. Just heat up a ratio of about 1 beewax to 7 linseed in a little jar and stir until its equally mixed. 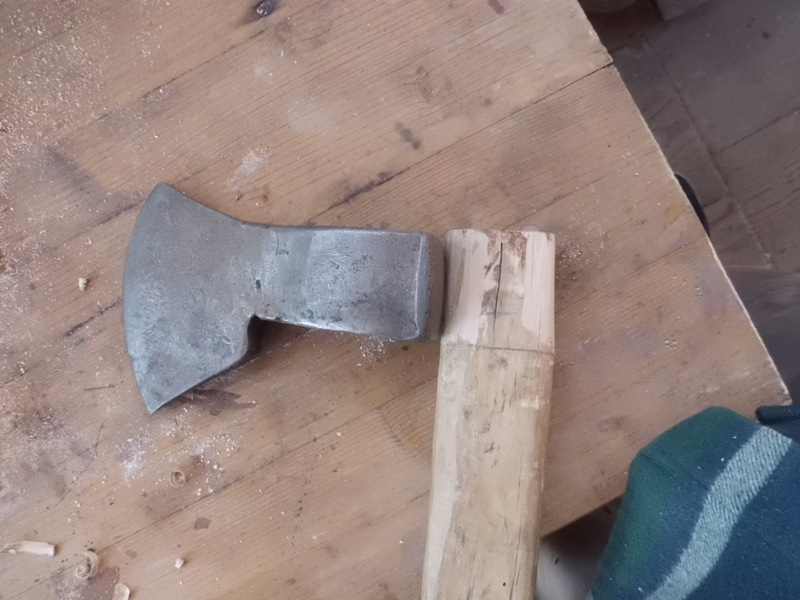 then rub on the the Axe head with a piece of cloth. 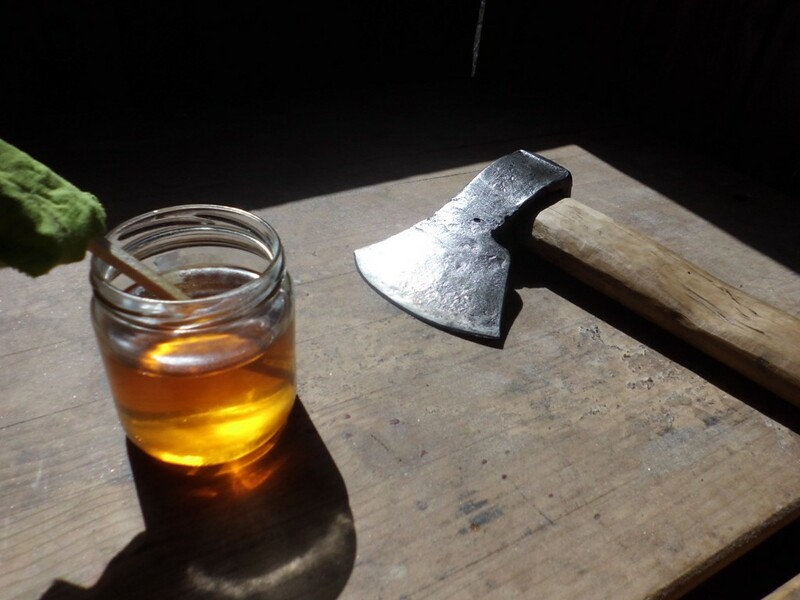 ever since I applied the substance, the Axe head is not only blinding me in the sunlight. itțs not getting rusty anymore! 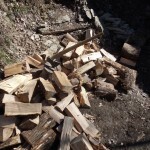 This entry was posted in Article, Wood and tagged DIY, Woodworking. Bookmark the permalink.